The Swedish major, Blueair, a leading provider of indoor air purifying technologies and appliances, today officially launched its lung disease battling products in Karnataka state. The foray comes just days after a Blueair-supported study revealed 36 percent of Bengaluru’s school-going kids suffer poor lung health as a result of air pollution. The full range can enhance health and wellbeing at home and work by removing most known airborne contaminants hazardous dust particles such as PM2.5, chemicals, smoke and bad odours. The air purifiers are also known to remove deadly viruses that include the deadly H1N1, commonly known as swine flu. Erik afUgglas, a senior member of the Blueair Board of Directors since the company was founded in 1996 said: “Our entry into India is a very important milestone in Blueair’s global growth strategy. India is a critical market where we expect to acquire a significant market share as a result of our superior technology, outstanding design and advanced air cleaning appliances. Our entry reflects both our strength as the leading global player in the air purifying category and our confidence in the ability to meet the opportunities that the highly-evolved Indian market offers. Vijay Kannan, Blueair business head in India commented on the launch and said, “Blueair’s indoor air purifiers have won global recognition and awards for their ability to clean the air in a room every 12 minutes of practically all known contaminants, including allergens, asthma triggers, viruses, and bacteria. 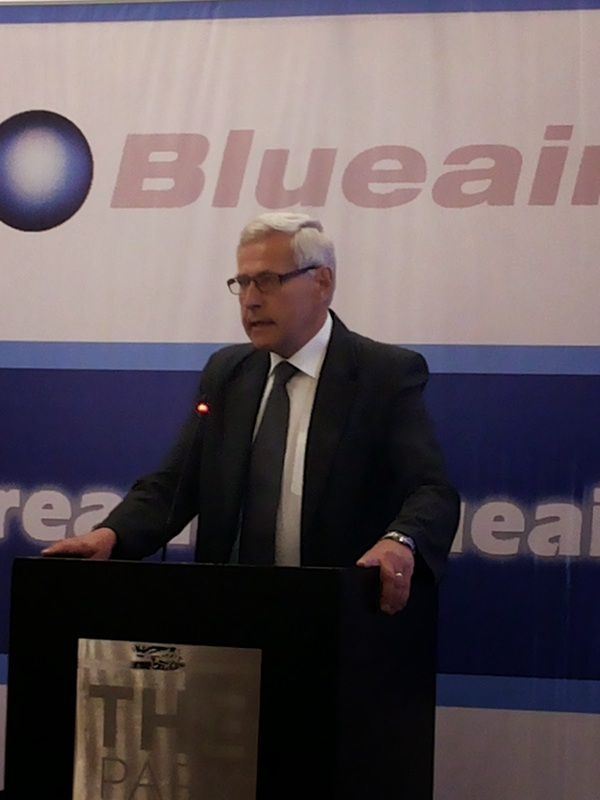 He further averred that the aim behind Blueair’s launch in India is to provide exceptional indoor air cleaning performance and enhanced user experience for consumers and business buyers, at competitive prices. He added that as an internationally favourite health-technology brand, Blueair symbolises the new India where young, aspirational consumers favour brands that create a stir by doing good by being good. Whisper quiet and using little energy, Blueair air purifiers add a global Scandinavian design ethos to the modern life-enhancement home appliance choices available to Indian consumers. Since being launched in 1986 in Stockholm, Blueair air purifiers have been honored with a host of international design and new technology awards, including iconic Red Dot Awards, handed out by Germany’s Design ZentrumNordrheinWestfalen, and Good Design Awards from the Chicago Athenaeum Museum of Architecture and Design. In addition to being a favourite choice of consumers around the world, Blueair air purifiers are also used by a vast array of international institutions, businesses and government agencies. Recently US embassies in Beijing, China, and Delhi, India have purchased thousands of Blueair air purifiers to protect staff in offices and homes against indoor air pollutants. In the lead up to its official launch, Bluair has already managed to stir up excitement around India with the launch two weeks ago of its Clean Air India Movement (CLAIM) campaign. A core element of the maiden campaign has been a nationwide study by Blueair under the auspices of the HEAL Foundation that revealed 36 percent of Bengalaru’s’s school-going kids suffer poor lung health as a result of air pollution, for example. Microsoft and ZNetLive, a leading technology provider have come together to empower SMBs in Rajasthan to take their business online, for as low as Rs 199. With this offering they aim to help over 20,000 SMBs in Rajasthan reach more customers globally, while making the business more discoverable, keeping the identity secure and enabling collaboration. This partnership will enable all small and big businesses to host and publish their website in less than 45 seconds, and enhance their sales output by connecting with more customers digitally. 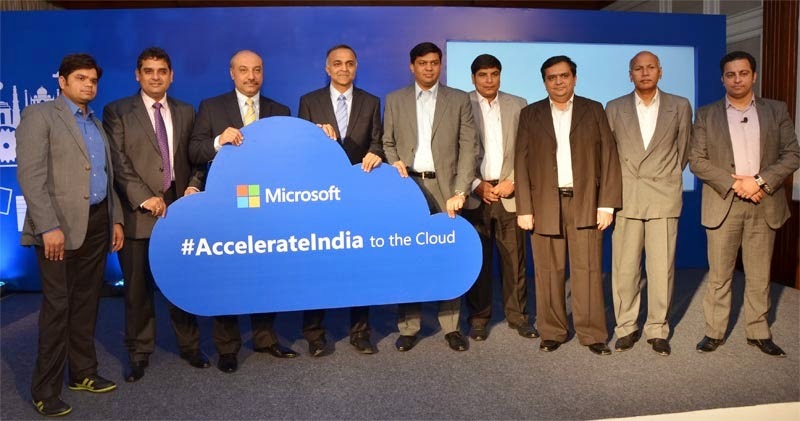 “Our association with Microsoft will help SMBs take their businesses online at an affordable price of Rs 199 per month. Our offer will not just provide them with website solutions, but also make them more collaborative and productive. We want businesses today, to recognize the power of web and cloud, and translate it to growth,” said Munesh Jadoun, CEO, ZNetLive. 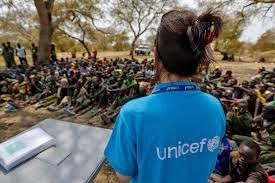 UNICEF and ARM have announced a multi-year partnership to accelerate the development of new technologies to overcome the barriers that prevent millions of families from accessing basic health, education and support services. The partnership’s first action is to collaborate with global product strategy and design firm frog on a ‘Wearables for Good’ challenge to generate ideas for new and innovative devices that tackle maternal and child health needs in emerging economies. 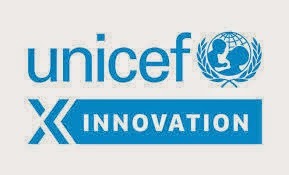 * UNICEF and ARM have partnered with frog to launch the ‘Wearables for Good’ design challenge. The challenge asks: Could wearable and sensor technology be the next mobile revolution? Running over six months, the challenge invites developers, designers, community partners and problem-solvers to design a wearable device that offers a cost-effective, efficient, and sustainable solution to pressing maternal, newborn or child health problems. * ARM will work alongside UNICEF’s network of Innovation Labs and country offices to identify and scale up pilot projects that demonstrate the potential to be used at a national level. Over the next year, UNICEF and ARM will uncover the most impactful solutions being used or in trials across the UNICEF network and invest to deliver them wherever they are needed. * Longer term, the UNICEF/ARM partnership will conduct research to evaluate and promote market opportunities in developing countries. With the findings, UNICEF and ARM will outline the business case for investing in solutions for mobile financial services, identity, transportation, learning and wearable/sensor technology. The joint goal is to build momentum for globally co-created and scalable technologies that attract commercial investment. Today’s partnership announcement has evolved from a growing understanding between UNICEF and ARM that technology can have a defining impact on children’s lives. With that shared view, UNICEF and ARM aim to drive sector-wide change, creating an ecosystem of technology companies that explore the potential social impact of new technologies they develop. myNoticePeriod.com, the company that pioneered just-in-time hiring and revolutionized recruitment in India, has rebranded itself as Hiree.com. The company has acquired 800+ paid customers in less than a year. The company counts world’s largest IT companies and India’s highest valued startups in its customer list. The portal is adding thousands of new jobseekers daily and has already crossed 170,000 profiles. Hiree.com is the world’s first and only destination that has jobseekers who are actively changing jobs. The company had recently raised INR 18 Crore in series A funding from IDG Ventures India. Having only serious jobseekers gives an unparalleled advantage to recruiters using Hiree. The portal’s customers gain 20x efficiency improvement in their candidate search. With the rebrand and accompanying technology changes, the company now extends beyond candidates in their notice period and expands to a larger base of job seekers. Customers have liked the expansion and are happy to connect with active jobseekers in all stages of job change. The company is at the forefront of innovation in the recruitment space. It has leapt ahead of competition by constantly adding benefits like smart matching algorithms, real-time alerts and a unique private messaging system. The recently launched powerful Android App for recruiters has allowed them to connect with candidates through call, whatsapp, SMS, e-mail or schedule meetings in real-time for future discussion. These have given tremendous benefits to all categories of jobseekers and employers. 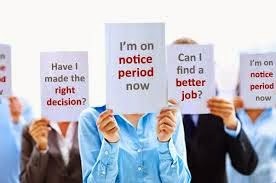 “When we started myNoticePeriod, our aim was to reduce the hiring lead time for employers and give better offers to jobseekers. We started with smaller target group of notice period candidates. Given the success and customer feedback, we are now expanding the benefits of the powerful hiring platform to all categories of job seekers. Hence the need for a new name which is ‘Hiree’. 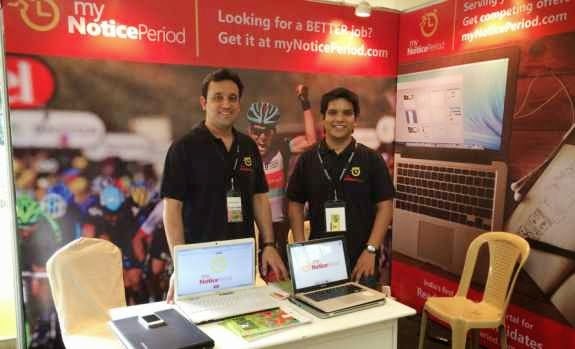 With hiree.com we will grow even more faster, add innovative features and deliver further efficiency gains for our users.” says Manjunath Talwar, Co-founder at Hiree. “We are not going after building a database of millions of candidates, we want to identify the most suitable candidates, who are very actively looking for opportunities and can join fast, including candidates who are on notice period. The core technology built to get most active candidates high within search results will further improve hiring efficiencies. This takes us closer to our vision of being the fastest technology driven hiring platform.” says Abhijit Khasnis, Co-founder at Hiree. “We are very convinced with the vision of Hiree.com, to improve the productivity in hiring and believe that their unique positioning of focusing on only active job seekers, has a huge potential. More than 12,000 employers have registered on the portal in a very short time, an early indication of the huge opportunity”, says, Venkatesh Peddi, Partner and Executive Director at IDG Ventures India. "The Hiree.com platform delivers unprecedented speed and pinpoint targeting. The outstanding Hiree.com team has from the ground up designed the next generation recruiting platform specifically for the on-demand ecosystem and generation." says Ravi Gururaj, Co-Founder of HBS Alumni Angels India. Rackspace, a managed cloud company, today announced that it will offer Fanatical Support and premium managed services for Microsoft Office 365, a leading cloud business productivity solution. With two new offerings, Fanatical Support for Office 365 and Rackspace Managed Services for Office 365, customers can purchase multiple Office 365 services from Rackspace including migration assistance and tier-one support, as well as premium managed services for Office 365 licenses not originally purchased from Rackspace. Rackspace support for Office 365 is the newest addition to the Cloud Office at Rackspace portfolio, which offers customers the flexibility to choose from a broad set of fully-managed business productivity tools delivered on a variety of technology platforms to help meet customers’ communication and collaboration needs. Rackspace will resell and support six Office 365 plans with management services for SMB and mid-market customers including deployment and migration assistance, tier-one troubleshooting and prioritized Microsoft support escalations. Additionally, Rackspace will offer managed services for Office 365, including a dedicated support team, on Office 365 licenses purchased through Rackspace or directly from Microsoft for mid-market and enterprise customers. Rackspace has supported Microsoft Exchange for more than eight years. This new announcement extends the relationship with Microsoft to support customers across the Office 365 suite who are looking for an increased level of support. According to Gartner, “as of 2Q14, only 10% of users (67 million) in the overall enterprise office market have moved to cloud office systems and most have focused on email, not the broad range of capabilities.” However, “after slow growth from 2007 to 2013, cloud office system adoption is accelerating. It will reach 25% of the market's total potential by the end of 2017, 50% by 2020 and 90% by the market's 20th birthday in 2027. Fanatical Support for Office 365 – Rackspace will sell and offer tier-one support for six Office 365 business and enterprise plans including Office 365 Business Essentials, Business, Business Premium, ProPlus, Enterprise E1 and Enterprise E3. Customers will receive free Microsoft Exchange migrations and Fanatical Support from a team of Cloud Office specialists. Rackspace Managed Services for Office 365 – Rackspace will offer a premium level of support and advisory services for mid-market and enterprise-level customers on top of Office 365 plans through either Rackspace or Microsoft. This level of managed support includes Exchange migrations, onboarding and deployment assistance and tier-one troubleshooting, plus Advisory Services from a dedicated account team to help configure Office 365 to best fit customers’ unique business IT needs. SAP India, a subsidiary of SAP SE reaffirmed its assurance to its customers and partners with regard to Goods and Service Tax (GST) reform in the country at the SAP GST India Forum in Delhi today. SAP will offer a range of localized solutions which have the Indian tax functionalities integrated within the business process to help companies transition to GST. At the forum SAP laid out its plan to address GST legislation and showcased solutions that will equip Indian enterprises to provide greater transparency and effective management practices to support their tax compliance requirements. Incessant Technologies, a global BPM specialist announced, that it has entered into a strategic agreement with NIIT Technologies Limited, a global IT solutions organization for a stake of 51 percent. Incessant will provide NIIT Technologies with the capability to be a significant player in the Digital Integration space with Digital Legacy Integration, Digitization and Automation of business processes for seamless customer experience. Incessant Technologies is sharply focused in enabling its clients to automate and integrate business processes with digital front ends and currently has 300+ consultants who are certified practitioners. The company has strong relationships with 20+ clients and strong alliance partnerships with leading BPM platform providers like Pegasystems and Appian. This partnership will enable Incessant Technologies to build new capabilities, invest in R&D expand in new geographies like North America and Europe and enter into new verticals such as Travel & Transportation. Vijay Madduri, CEO Incessant Technologies stated that, “This agreement is a part of our strategic endeavour to build on our strengths and continue our growth trajectory. I am convinced that this association will offer our clients, partners and employees tremendous value by building a very strong and sustainable entity”. On this agreement Sudhir Chaturvedi, COO NIIT Technologies states, “Incessant is a perfect match for NIIT Technologies both from being optimally positioned to capitalise on the digital integration opportunity and having a strong growth track record. Our combined strengths will enable our clients to address their growing needs in the Digital space”. Incessant Technologies is a fast growing Company with FY’14 revenue of US$13.9Mn, estimated to report revenue of US$17Mn for FY’15.